Media, when used as a weapon, often led to misinformation and hate speech, creating social tension and stress, Marie Louise Coleiro Preca warned. “Free speech is not a free-for-all - free speech is the manifestation of sharing diverse views in a respectful way,” the President said, noting that education and media literacy could be the solution. Ms Coleiro Preca was addressing a meeting of the non-executive EU presidents of the Arraiolos Group, held in Latvia. We need our European project to be foregrounded by our politicians and felt by our citizens, more than ever before, she insisted. “With the call for freedom of speech, we are sometimes fed fake news and misinformation. “Social media should stand for a stronger democracy, and not to foment hatred,” she added. Her comments coincide with the release of Eurobarometer data showing that the Maltese are the most likely of all EU nationals to come across online hate speech. Over half (55 per cent) of Maltese people who took part in the survey agreed that "hate speech" was the illegal content they were most likely to "encounter accidentally" online. 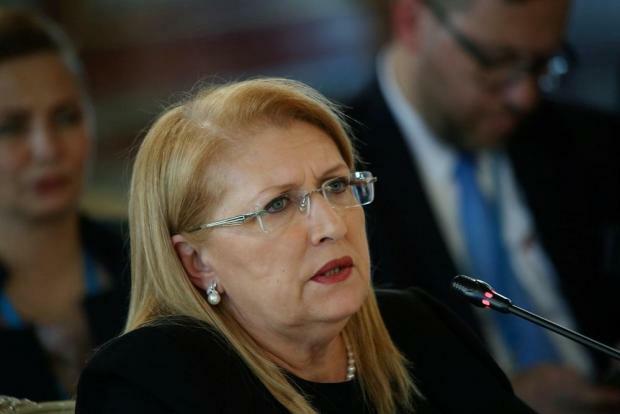 In her address, President Coleiro Preca said that social media presented a significant opportunity for the recovery of democratic life, providing opportunities for outreach, social networking and political engagement. “Such recovery ought to be seen as a project of hope and possibility aimed at countering the paranoia and insecurity developing around social media. Earlier this week, Nationalist Party leader Adrian Delia came under fire after sounding a warning that the country was being flooded with third country nationals while certain localities, particularly Marsa and Ħamrun, faced problems with migrants sleeping on the street and in public parks. A group of NGOs slammed his comments as “abhorrent”, saying they were intended to generate hatred, discrimination and violence. However, Dr Delia defended his controversial warnings about the influx of foreigners into Malta and rejected claims that he was driven by racial or xenophobic motives.